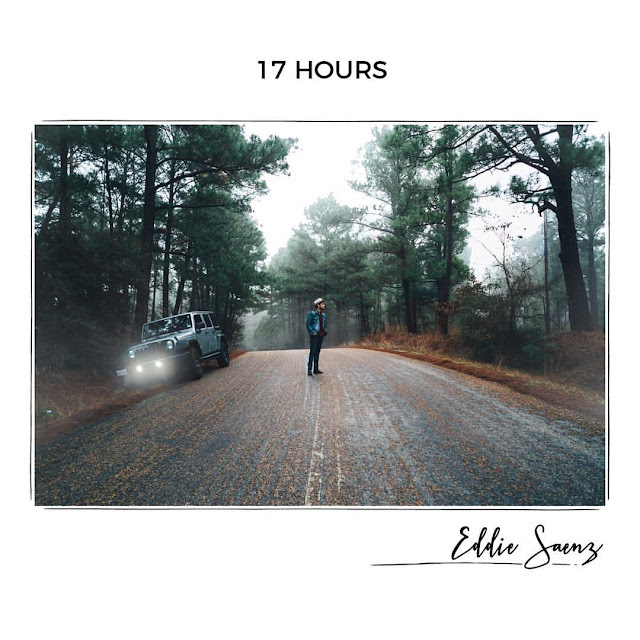 Late last week Edinburg, Texas native Eddie Saenz released his first single in what seems like forever. “When I was Young” gives us a glimpse of what to expect from the upcoming sophomore album, “17 hours”. The full album is scheduled to be released on June 16, 2017. If I were you, I would make sure to add that to your calendars. “When I was Young” was co-written by Eddie Saenz and Angie Marie Gonzalez, during the time that Eddie spent in Nashville. The song written takes us through a journey of those young adulthood years, where we learn more about life and who we are. The song seems autobiographical and it may be to an extent. As the song starts and the beat picks up, we find ourselves listening to a young man reflecting on his youth. Those moments of being a free spirited, whose only focus seems to be putting miles on his car. But then you hear it, that moment of reflection, "I've lost a few good years on my habits and vices, not thinking about the damage I had done, when I was young." Many will be able to relate to the lyrics, it might be the vices or giving your "heart to anyone without a thought”. As the song seems to reach a high point with the wonderful electric guitar riffs, we are quickly brought back to reality, and all you are able to focus on is Eddie singing that last verse. Our past teaches us about who we use to be, it helps mold us into who we are to become." 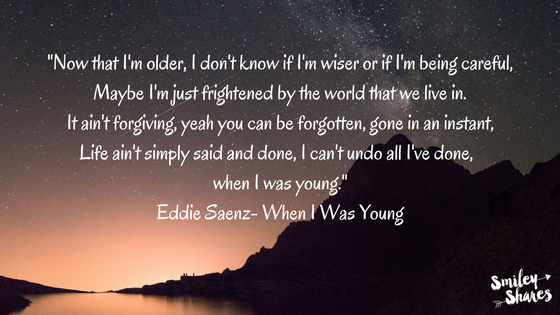 When I Was Young", gives insight as to what kind of Eddie Saenz wants to be, one that although young can still provide some insight on life, and what he knows to be true. We look forward for the full album to be released, because if this single tells us anything is that Eddie Saenz, will definitely have one of the best albums of the year.